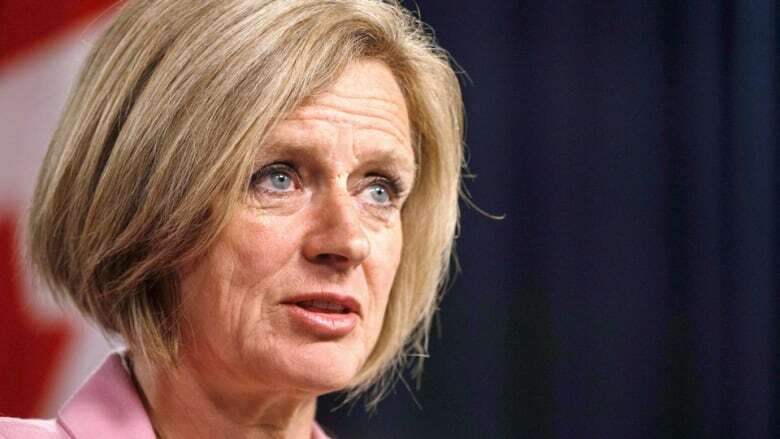 Alberta Premier Rachel Notley has pulled out of a meeting of Western Canada premiers in Yellowknife at the last minute, reportedly over the Trans Mountain pipeline expansion. Notley was scheduled to meet with B.C. 's John Horgan, along with the premiers of Manitoba, Saskatchewan, Nunavut, Northwest Territories and Yukon on Wednesday. But Notley announced Monday afternoon she won't be at the Western Premiers' Conference. Deputy Premier Sarah Hoffman will attend in her place. On Twitter, Notley said it would be "surreal and exceptionally tone deaf for anyone to think we could politely discuss pharmacare and cannabis when one of the players is hard at work trying to choke the economic lifeblood of the province and the country." "My only priority is to get the pipeline built." A statement from Notley's spokesperson, Cheryl Oates, said the premier wants to keep her attention focused on the May 31 deadline set by Kinder Morgan, which in April suspended all non-essential activities on the expansion of its Trans Mountain pipeline through B.C. "Premier Notley's only priority is working with the federal government and Kinder Morgan to secure the construction of the pipeline," Oates said in an email. "Therefore, she will be staying in Alberta to work on and complete the deal." However, CBC has confirmed details in a published report suggesting an argument over Trans Mountain is the real reason behind the cancellation. Alberta wanted the communique out of the meeting to include a united position on pipelines, which B.C. wouldn't agree to. Oates said Alberta did not ask B.C. to sign anything. She repeated that Notley is staying away from the meeting to keep watch on the pipeline talks. Lori Williams, an associate professor in the faculty of policy studies at Mount Royal University, suspects that if she couldn't get strong support from other premiers, Notley decided it would be better to stay home. "She's obviously decided to invest her time where it is going to have more impact, and that's more directly on trying to resolve the issue here." Alberta has passed legislation allowing it to limit fuel exports to B.C., but British Columbia countered by announcing plans for a lawsuit that would declare Alberta's legislation unconstitutional. Even without the Alberta premier's presence at the premiers' conference, Horgan could still face pressure from other premiers. Saskatchewan Premier Scott Moe said last week that he wants to speak about the pipeline's benefits when he's at the conference. "I'm very concerned that we are missing an opportunity here in this nation to advance our economic benefit here, not just in Saskatchewan, but in Western Canada and the nation of Canada," Moe said. Moe has said the federal government should withhold sending federal infrastructure money to B.C. over that province's opposition to Trans Mountain.